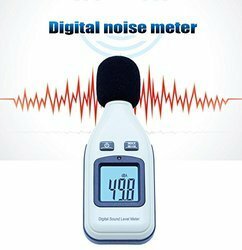 Prominent & Leading Manufacturer from Faridabad, we offer digital inclinometer, sound level meter, tachometer, ultrasonic cleaner, digital multimeter and dc regulated power supply 30v 5a. This Is A Small Item Which Can Be Carried In Your Toolbox Or Even A For Pocket It Has Magnets At The Bottom To Attach To Any Metal Surfaces. this equipment had been designed to meet the measurement requirement of safety engineers ,health,industrial safety offices and sound quality control in various environment,which include factory,office,traffic,family,and audio system. 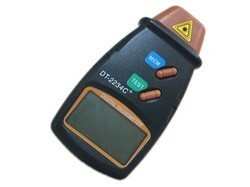 Professional DT2234C+ tachometer, Measures the RPM of any rotational part. Wide measuring range & high resolution. 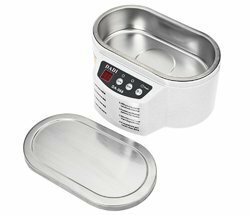 Durable in using, large LCD displaying gives exact RPM data. The last value / min value will be automatically stored in memory and can be displayed by turn anytime. The housing has been carefully shaped to fit comfortably in either hand.It is a great tool to measure In wood and metal working or many other kind rotary device, it can be used to accurately measure the speed of a lathe.The reflective strips which stick on the rotating equipment are mainly used for reflecting the laser signal by the tachometer equipments launch, so that the tachometer can accurately receive the signals of rotating equipment. 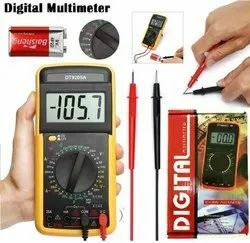 DT9205A Digital Multimeter Capacitance Multi Meter with Probes Tester Current & Voltage For Measuring AC/DC Voltage Current Resistance. 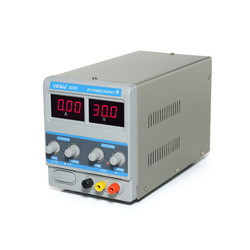 PS-305D communication maintenance power supply is a single line output of stabilized high accuracy DC stabilized power supply. The output voltage and current can be adjusted continuously within the rated range. Constant voltage and constant current (CV/CC), automatic switching of working modes.Double digital display shows output voltage and current independently. Several protection functions include current limitation, voltage reduction, short circuit protection, over-temperature protection, etc. The design is applied to production line of the plant, maintenance, laboratories and is also a necessary device for the communication industry. Principle description of constant voltage/constant current CV/CC The operation mode of constant voltage/constant current can be automatically switched depending on the comparison result of the load current and limited current value. Protects your investment -- modular approach to add GigE, Ethernet, E1, etc. Helps you define an accurate, repeatable test strategy -- with automated tests, expert modes -- reduces errors and minimizes repeats. Full copper analysis suite – qualify, provision, and troubleshoot copper pairs – includes DVOM, Opens, TDR, wideband TIMS, spectral noise, and resistive fault locator (RFL). Gigabit Ethernet module features SAMComplete/ ITU-T Y.1564 service activation- automated SLA verification and troubleshooting for circuits that carry multiple services and bandwidth profiles. Standard automation and TechComplete - Improve testing processes through automation and centralized, web-based management tools. Powerful signal strength indicator to measure walkie talkies' continuous carrier signal frequency for wireless enthusiasts. 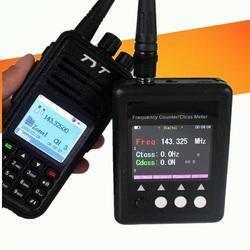 DMR Radio signal frequency counter. 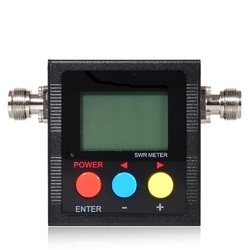 Digital Power Tester SWR Meter Frequency Counter & 2 RF Adapter Cover 125MHz~520MHz for Ham Transceiver Scanner. A pH meter is an electronic device used for measuring the pH which is either the concentration of Hydrogen ions in an aqueous solution or the activity of the Hydrogen ions in an aqueous solution. The pH will indicate if the solution is acidic or basic, but is not a measure of acidity or alkalinity. pH meters work in liquids though special probes are sometimes used to measure the pH of semi-solid substances. 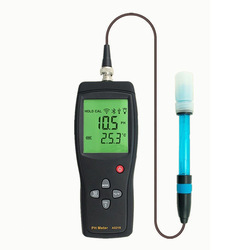 A pH meter consists of a special measuring probe (a glass electrode) connected to the body which measures and displays the pH reading. 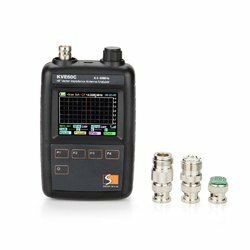 The sampling rate of the SDG1025 is 125msa/s, it has wave length of 16kpts, frequency resolution 1µHz and vertical resolution of 14 bits. It also includes modulation functions for AM, FM, PM, DSB-AM, FSK, ASK, PWM, Sweep and Burst as well as a frequency counter between 100mHz and 200mHz. 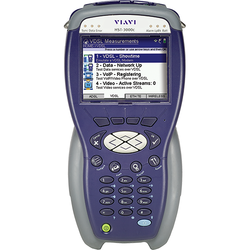 This product also includes modulation functions (AM, FM, PM, DSB-AM, FSK, ASK, PWM, Sweep and Burst) and a frequency counter between 100mHz and 200Mhz.